The AirSim Pierre Robin is a new addition to the TruCorp Pediatric range. It was developed to highlight the difficult airway management techniques used on infants with Pierre Robin or Stickler Syndrome. 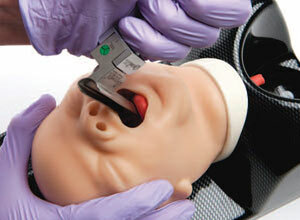 Pierre Robin is a common cause of difficult pediatric intubation.